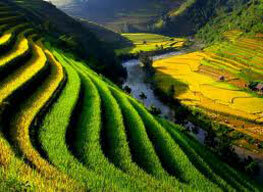 The remote northwest of Vietnam offers the dedicated traveler some of the most beautiful scenery in the entire country. For centuries the local ethnic minority peoples have made their livelihoods, building beautiful rice terraces that cling precariously to the mountains near the borders of China and Laos. Meet them, visit their markets, and gain an understanding of a culture a world apart from your own. After a short flight from Hanoi you will be in the historical site of the famous battle field of Dien Bien Phu which ended the long war with the French. It is worthwhile to pay visit to war historical site with revision of the history before spending the rest 5 days to explore wild nature and diversity culture of the ethnic minority groups. 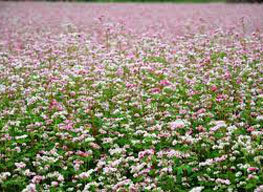 Transfer to Hanoi airport for a short flight to Dien Bien Phu. meet your guide and driver upon arrival. Amongst the beautiful and peaceful scenery of the immense Muong Thanh valley you will tour the famous historical site of the former battle which made Vietnam famous and put an end to the long resistant war includes the French Garrison’ headquarter, A1 hill, Dien Bien Phu Museum. Later of the afternoon, you will explore this beautiful valley which is always green and prosperous with rice paddies and villages of the Thai people. Evening is set for your leisure to see Dien Bien City by night. Leaving Dien Bien Phu with its glorious history behind, you are heading to Lai Chau through the wild area with rain forest covering high mountains. here and there scattering along the way are small villages of the H’mong and Thai people who are friendly and welcoming when hosting us for quick visit. 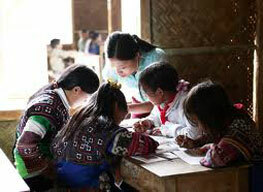 Arriving in mighty Lai Chau town at noon, check in hotel and enjoy Lunch. 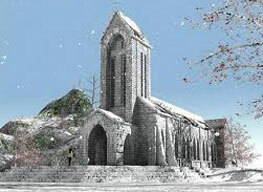 Lai Chau, is a small town nestled in the heart of a beautiful valley carved from spectacular mountains by the Da River. The town, no more than half a mile in length, initially had little to offer, but the area itself is a goldmine. Afternoon is for exploring the stunning area along Da River. you’ll take a boat downstream while limestone mountains covered by thick forest walled up by the two sides of the river forming superb landscapes. Leaving the boat sometimes you will pay visit to Thai villages, enjoying tranquil rural life. Back to your hotel in late afternoon and evening is at your leisure. 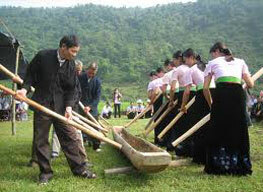 Sin Ho is one of the remotest district of Lai Chau Province. Till some years ago it was an isolated area due to very bad road. 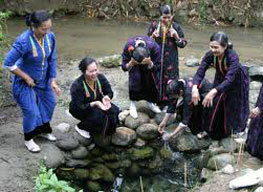 The minority community living in the region includes Red & white H’mong, Some sub groups of the Zao, and Lu who still keep their teeth dyed black. From Lai Chau, it takes about 3 hours drive to cover a distance of 70 km only because you will wish to stop quite regularly for the stunning scenery. Arriving in Sin Ho town at noon we’ll check in a local guesthouse and have lunch. The whole afternoon is for walking to explore villages of the ethnic minority villages, observing the most primitive ways of farming and meeting locals who are very poor but amazingly friendly. Leaving Sin Ho for Phong Tho, The venture today takes you along the rest 58 km of the historical road N6 built by the French for military purpose from early 20th Century. The road is very tough but the scenery is amazingly beautiful. Seven high passes cut through the steep mountains and the Da River winds its way along the mountains feet. We’ll stop driving many times for paying visit to minority’s villages along the way and meet people from some very small groups such as the KhMu and Lu whose population are as small as some thousands. 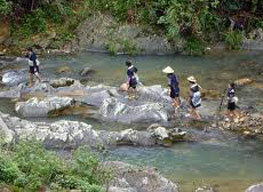 In Phong Tho, you will spend about 2 hours in the afternoon walking along Nam Na River through a White Thai village. Today you will travel along the national road 4D to Sa Pa, passing through the area at the back side of Hoang Lien Son mountain range. 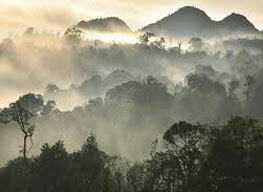 The landscapes of the region is probably the most stunning and magnificent in Vietnam. You will enjoy many break along the way for admiring beautiful nature and paying visit to Black Zao, Tien Zao, Red H’mong villages and tea farms before ascending the steep part of the road to Tram Ton Pass where a long break is set for Lunch and over viewing magnificent scenery. On the way downhill to Sapa town, you will have a short break at the Silver Waterfall. 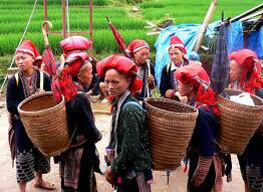 Arriving in Sapa town you will check in your hotel and the rest of the day is at your leisure. Two high ranges of mountains run in parallel north of Sa Pa town create a narrow and long valley, the Muong Hoa, the most famous valley for its breathtaking scenery valley in the region which is home to the major part of Sa Pa’s ethnic population including the H’mong, Zao, Zay, Tay and Xa Pho. We leave Ban Ho of the Tay people in late afternoon, back to Sapa, taking a bath and then transfer down hill to Lao Cai station for taking the night train to Hanoi which arrives in Hanoi early at 05.30 to 06.00 next morning. 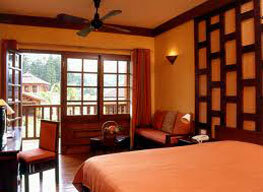 • Accommodation: 5 nights in hotel and guesthouse as stated. • Meals not indicated in above program.